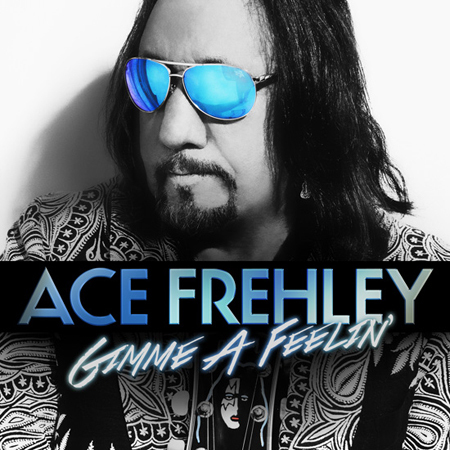 May 29 : Ace Frehley's New Single " Gimmie A Feelin' "
Original KISS guitarist Ace Frehley has released the first single from his upcoming "Space Invader" album. "Gimme A Feelin'" is now available on iTunes. Ace Frehley was finishing up Space Invader, his first solo album in five years, around the time he was inducted into the Rock and Roll Hall of Fame. Now, with the album's release date of July 8th a little over a month away, the Spaceman is sharing the its hard-rocking first single, "Gimme a Feelin'." Beginning with a ferocious blues-rock solo, the tune locks into a typically Frehley-like groove when he sings about a woman who's "got what it takes to jangle my brain," the swinging guitar riff and pounding drumbeat recalling late-Seventies Kiss. Aside from the music, Space Invader has another through-line to Frehley's days with his old band: Ken Kelly — the artist who created the sleeves for Kiss' most popular records, 1976's Destroyer and 1977's Love Gun — designed the its cover. The album also contains a rendition of the Steve Miller Band's 1973 song "The Joker," and Frehley has compared its sound overall to that of his 1978 self-titled solo album, which contained the hit "New York Groove." "I'm really excited about this record, because everybody that's heard the tracks just says they think some of the tracks are even better than [Frehley's 2009 LP] Anomaly, and even showing another side of me," Frehley told Rolling Stone in March. He also said at the time that he was planning an album of cover songs similar to his take on "The Joker," and although he wouldn't name the songs he wanted to include, he offered up a list of musicians he hoped would contribute to the album. "[I want to] get some celebrity guests to play on it, some of the covers and stuff, get Slash, Mike McCready, my buddy from Pearl Jam. The list is endless," he said. "I might even get Gene [Simmons] to play bass on a track." 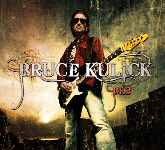 Happy to announce that BK3 is now available on iTunes, with two NEW bonus tracks: "Love and Desire" (featuring Andrew London) and "Ain't Gonna Die" (featuring Gene Simmons, as remixed by Chew FU). Please Note: Outside of North America (US and Canada) the new digital release of BK3 will NOT have the bonus tracks (due to previous license agreements). But I have some ideas and will keep you all posted. 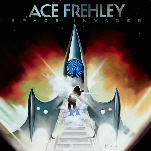 Founding KISS guitarist and 2014 Rock and Roll Hall of Fame inductee, Ace Frehley has tapped long time friend and artist Ken Kelly to create the album cover for his upcoming LP SPACE INVADER, due out July 8th. The reveal comes exclusively through Rolling Stone today. Kelly, who created the iconic cover art for two of KISS’s best selling LPS, Destroyer (1976) and Love Gun (1977), says, "It was very exciting when I was approached with the idea of doing an album cover for Ace." Ken Kelly is also widely known for his paintings in the sword and sorcery and heroic fantasy sub genres, most notably for the Conan the Barbarian novels. He continues, "I had spoken to Ace on a few occasions about the possibility, so I was delighted when it actually happened." With nearly 35 years between projects, KISS fans will surely be excited about this long-time duo working together again. Kelly concludes, "I am very pleased with the results and proud to play a part of Ace's continuing successful career!" ACE FREHLEY will release SPACE INVADER, his first new solo album in five years, via Entertainment One Music (eOne Music) on July 8th, 2014. The album will include at least nine brand new original songs as well as a cover of Steve Miller’s “The Joker.” This album is the first release under Frehley's new universal deal on eOne Music. Widely known as the original “Space Ace" and founding guitarist for 16 cumulative years (over 2 tenures) of the multi platinum selling rock band KISS, Frehley is demonstrably the most popular original member. In addition to having the best selling solo album career (vintage or current) among the original foursome, Frehley’s self titled Ace Frehley, released in 1978, went on to sell over one million copies, producing the only Top 40 single, “New York Groove,” from any of the legendary KISS solo albums; (peaking at #13). The massive hit was most recently featured in an episode of cult show Entourage and was also KISS’ second best selling download in 2012, besting such KISS Army anthems as “I Was Made For Lovin’ You,” “Beth” and “Calling Dr. Love” even after 36 years. Since departing from KISS, Frehley went on to release four more solo albums and one live EP including his most recent effort, Anomaly in 2009, which debuted at #27 on the Billboard Top 200 chart and received a welcoming response among critics. "’Anomaly' shows why many rock and metal guitarists list ‘Space Ace’ as a prime six-string influence," said Rolling Stone. During a brand new interview with NashvilleScene.com, KISS guitarist/vocalist Paul Stanley was asked if there is a possibility of him releasing another solo album following 2006's "Live To Win". "Sure, absolutely," he replied. "I'm not done, so sure. The next one I guarantee will be much more guitar-driven. 'Live To Win' was really me wanting to push the envelope of what people wouldn't expect from me. 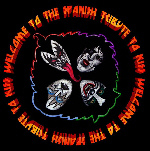 But my next one would hearken back way more to the first [1978's 'Paul Stanley'], I'm sure." 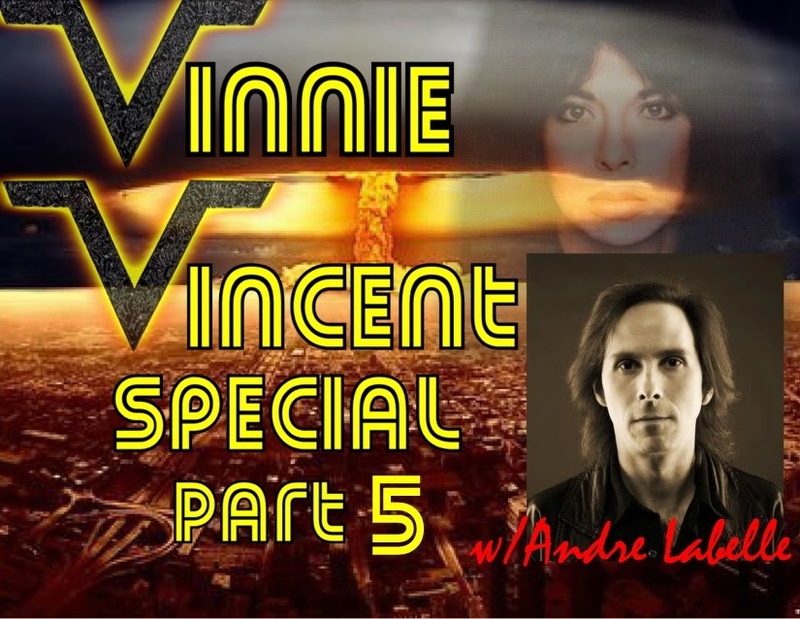 This week we present you with the 5th installment of our Vinnie Vincent Special. Joining us for this discussion is drummer Andre Labelle of The Sky. Andre was tapped by Vinnie to drum on the still-not-officially released album Guitars From Hell (Guitarmageddon) that was recorded over a period of 1989 through 1992. In this discussion you'll hear the whole story of how the project was started, the interesting ways that Vinnie would decide on equipment, recording techniques, and the circumstances that led to the album being shelved. The band is rounded out by bassist Steve Barber and guitarist Ryan Lake. 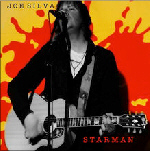 On March 1, 2014 Joe Silva released a digital download single of the David Bowie song "Starman", featuring Ace Frehley and drummer Anton Fig. 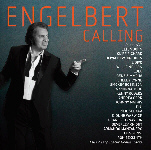 The single is available for download at iTunes and Amazon.com.